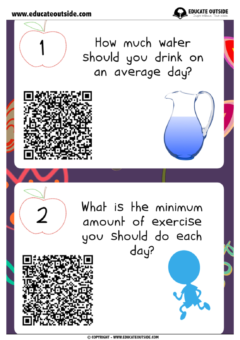 This QR code activity is perfect for introducing the topic of ‘keeping healthy’ or as a refresher lesson. 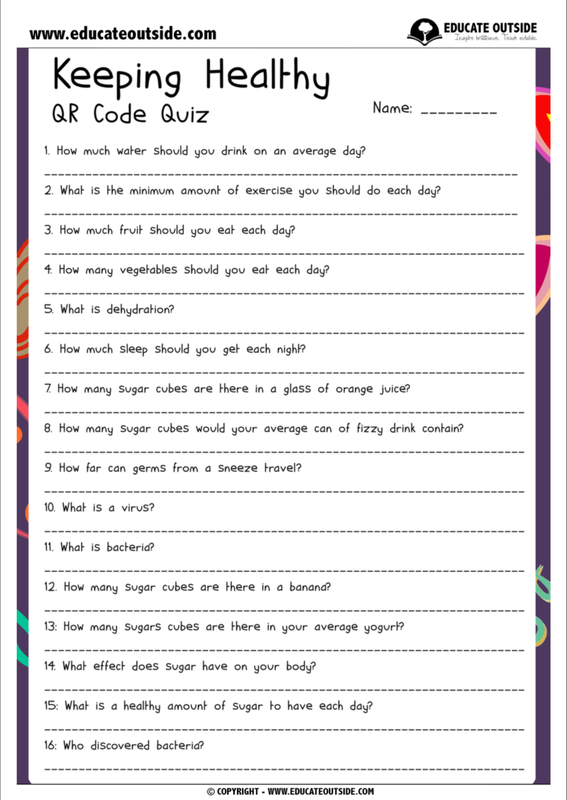 You will be amazed at how much your class can learn about keeping healthy in a short amount of time! This activity works best outdoors. Hide the QR codes around your outdoor area and then give the students the answer sheet and the iPads (or equivalent) to use to scan the QR codes. They must go around, find the answers, and complete the answer sheet. If you are using the QR codes, you will need a QR scanner, which you can download for free from the app store. Alternatively you can print the cards double sided (with the answers on the back) if you do not have the technology available. 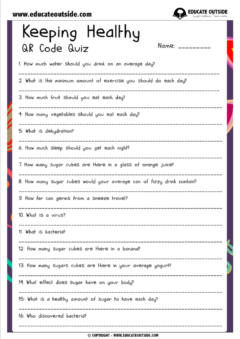 16 cards with answers (you could print on the back of the question cards).